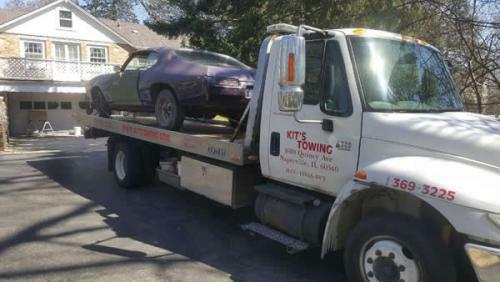 If you are stranded in the middle of the highway or in the middle of nowhere, we at Kit's Towing are ready to come to your aid. We specialize in accident roadside assistance along Naperville IL, and our services are also available in other areas. You may visit our LOCATIONS page to see the full list of our covered areas and our Contact page to see our address as well as additional information on how you may get in touch with us. 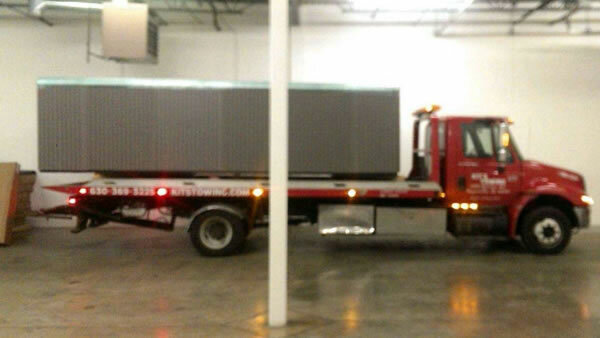 Our company makes use of flatbed trucks to transport different types of vehicles — from motorcycles to larger types of machinery. Flatbed trucks have solid flat backs, usually made of wooden planks, without any fixed sides or railings. Some have steel removal pillars, though, and some models have a metal base instead of wood. Check out the pictures here in the Gallery page to see the different trucks and tools we use in taking your car to the nearest local auto repair shop!